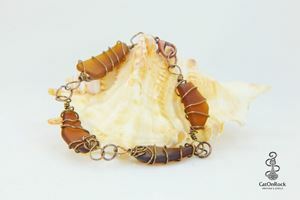 Four amber/brown pieces of sea glass wire wrapped in bronze wire and adorned with a small lobster claw lock. Each piece is 100% genuine sea glass. 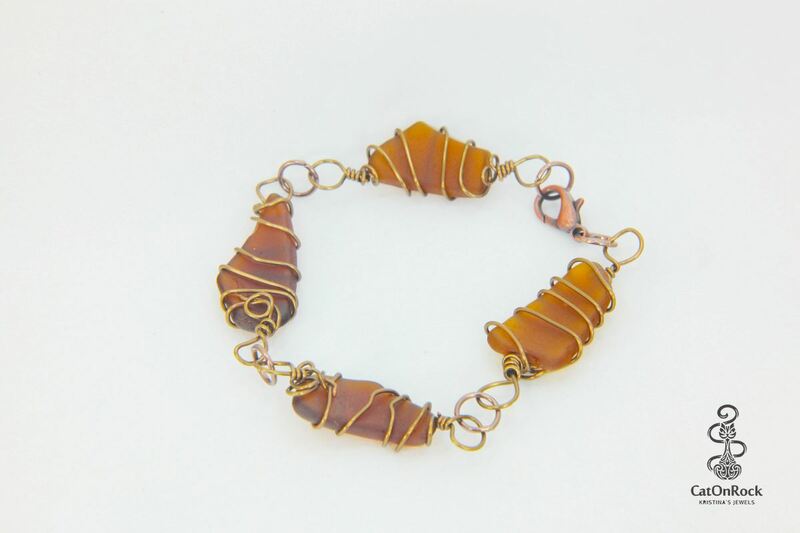 This sea glass bracelet is very light and elegant. Size: The bracelet measures approximately 8.5". All of my sea glass is 100% genuine and comes from Barbados.